The weather may be blustery, but that doesn't mean that there's nothing to do in and around Cleveland during January, February, and March. There are big events, such as Mardi Gras and St. Patrick's Day, as well as smaller celebrations, such as the Medina Ice Festival or Hinckley's Buzzard Sunday...and much more. This free festival is held in the middle of February each year in and around Medina's picturesque public square. The main event is the ice-carving contest, which draws competitors from all over the country. There's also live music and hearty food and drink specials offered at the many eateries surrounding the square. Held in downtown Loudonville, near Mohican State Park, this free festival is held in mid-January each year. Festivities include speed carving, ice carving demos, and ice sculptures. Events taking place at the Sandusky Maritime Museum for the holidays include the museum being "deck-orated" from November to January and a Nautical Gingerbread Workshop in December. In previous years, the family festival has been held the second weekend in February along the Sandusky waterfront at the Maritime Museum and the Sandusky Sailing Club. Festivities include ice boat races, a speaker on "The History of Ice Boats," sledding and cross country skiing at nearby Mills Creek Golf Course, ice skating, and a soup cook-off will be downtown. The Underground Railroad Trolley Tour will offer rides from the Maritime Museum. Some of the activities carry a small fee. Held each January or February, this dog-sled race matches teams through challenging race courses around Punderson State Park. Pre-registration and a fee are required for racers; Spectators are admitted free. In 2018, 2016 and 2014, this event was canceled due to lack of snow. In 2015, the event was canceled due to renovations in the park. The Tuesday before Lent, Fat Tuesday or Mardi Gras, is a traditional day of celebration and festivities before the contemplation and abstinence of the Lenten season. Cleveland may be a thousand miles from New Orleans and several thousand from Rio, but the city still knows how to throw a Mardi Gras party. 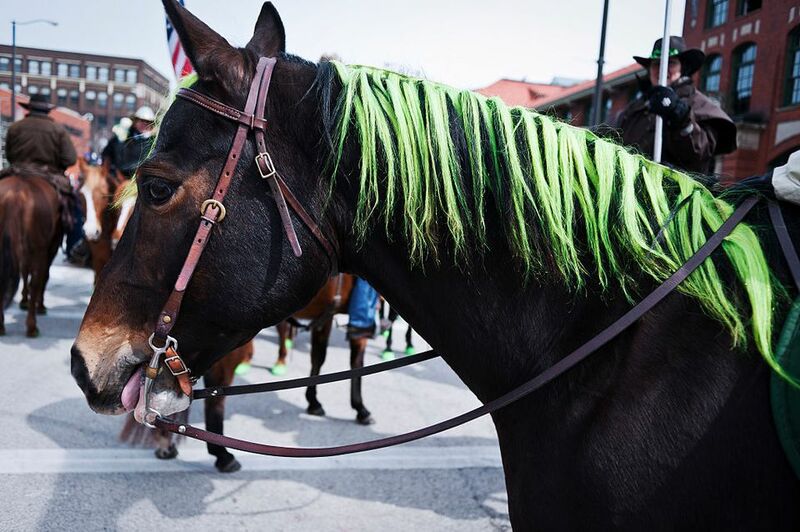 In Cleveland, everyone is Irish, at least for St Patrick's Day. The Cleveland St Patrick's Day parade, begun in 1867, is the oldest in the state and one of the oldest in the country. What's more, there's plenty of green beer, corned beef, shamrocks, and fun to last from dawn to well past dusk. Typically held for four days in late April each year, the Geauga County Maple Fest is a celebration of the maple syrup season. Festivities include a parade, carnival rides, concessions, pancake breakfasts, live entertainment, a one and five-mile run, and a maple auction. Most of the events take place on and around Chardon's main square. The buzzards are due to return back to Buzzard Roost in the Hinckley Reservation at the Cleveland Metroparks on March 15, just as they have every year since 1957. The sighting begins at dawn, around 6:30 a.m., when hearty souls with their binoculars comb the sky for the sleek, black birds. Less hearty buzzard enthusiasts can help celebrate the return of the buzzards at Buzzard Sunday, the Sunday after the 15th, between 9 a.m. and 2:30 p.m. at Buzzard Roost in the Hinckley Reservation of the Cleveland Metroparks. The festivities include wildlife demonstrations, arts and crafts, a pancake breakfast, live music, and kids' activities. It's fun and it's free. Held at Malabar Farms, located just outside of Mansfield, this free Maple Festival features horse-drawn carriage rides, maple syrup demonstrations, and plenty of maple syrup products for sale. The event is held in early March each year. Cleveland's Chinese community celebrates the new year usually in February or late January. Nowhere is more festive than the city's Asiatown neighborhood, where the traditional lion dance snakes through the streets, restaurants offer special dishes and fireworks cap off the celebration.